Attorneys for eight US states with Democratic majorities are pushing to prevent President Donald Trump’s new travel ban from taking effect. California’s attorney general has announced he will join the lawsuit, calling the measure unconstitutional. California will be joining Washington, Maryland, Minnesota, Oregon, New York, and Massachusetts in challenging the travel ban before a federal judge, Attorney General Xavier Becerra said Monday. “Last month, our courts put a lid on the unconstitutional and un-American Trump Muslim travel ban because Americans stood up and demanded it,” Becerra said in a statement, quoted by the Los Angeles Times. “The victory for lawful permanent residents and current visa holders was welcome news for everyone, especially the victims’ families. But the fight for fair and lawful treatment of all who would seek permission to enter our country is not over,” he added. Though the new ban includes numerous exemptions, including for lawful permanent residents and visa holders, Becerra said this was not good enough. 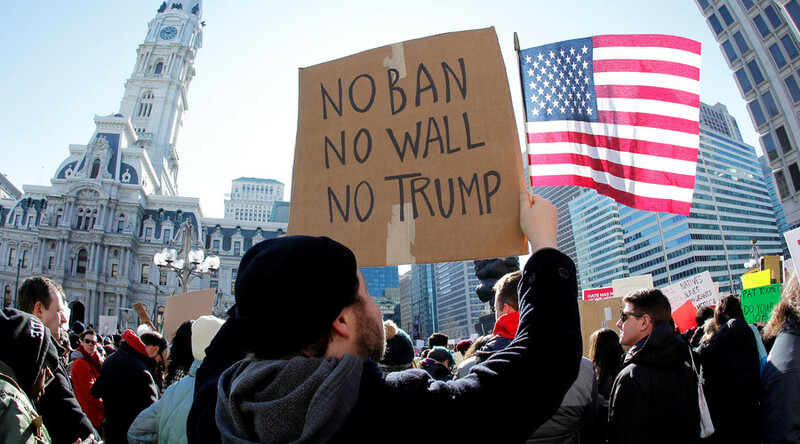 “The Trump Administration may have changed the text of the now-discredited Muslim travel ban, but they didn’t change its unconstitutional intent and effect,” he said. “It is still an attack on people — women and children, professors and business colleagues, seniors and civic leaders — based on their religion and national origin." Trump’s executive order temporarily restricting immigration from six Muslim-majority countries – Iran, Libya, Somalia, Sudan, Syria and Yemen – is scheduled to go into effect on Thursday. The administration is citing national security and the absence of proper security procedures as reasons for the suspension. 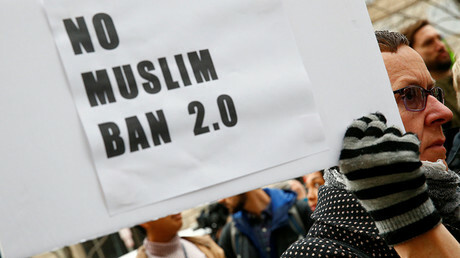 Democrats are calling the measure a fulfillment of Trump’s campaign promise to ban all Muslims from entering the US, and therefore discriminatory. The Republican president's first attempt at restricting immigration – which applied to Iraq and impacted green card holders – foundered in January after federal judge James Robart granted a request for injunction from Washington state Attorney General Bob Ferguson and several other Democratic AGs. A 9th Circuit Court of Appeals panel upheld Robart’s stay. Rather than challenge the issue before the eight-member Supreme Court, the White House opted to issue a revised order. Ferguson and his colleagues filed to extend the original injunction to the new executive order, claiming it was identical in several respects, but Robart declined the request on Friday, saying he would need a proper procedural complaint against the new measure. The Justice Department has argued that the new order “falls outside the scope” of the original injunction. Attorney General Jeff Sessions called the travel ban a lawful and proper exercise of presidential authority and vowed to enforce and defend it, adding that US attorneys who disagreed were welcome to leave. On Friday, Sessions asked for the resignations of 46 Obama administration holdovers. In addition to the pending challenge from seven states, Hawaii filed a separate lawsuit last week. That case is due for a hearing on Wednesday.